Storage and organization in a small apartment can be a challenge, whether you live alone or share the space. 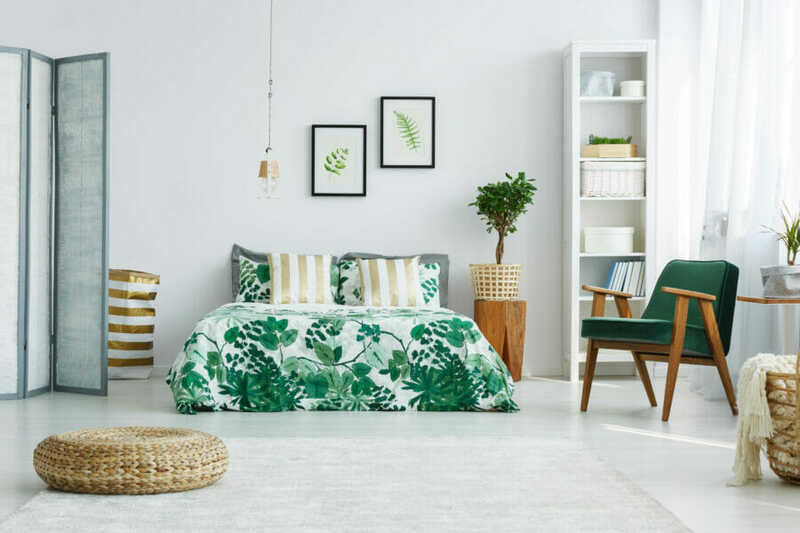 Rather than just accepting the clutter and longing for more square footage, why not make the most of the room you have? Here are 15 of the best ways to manage even the smallest of homes, the one bedroom apartment! Choose a bed with built-in storage, either hidden by doors or open storage, like bookshelves. 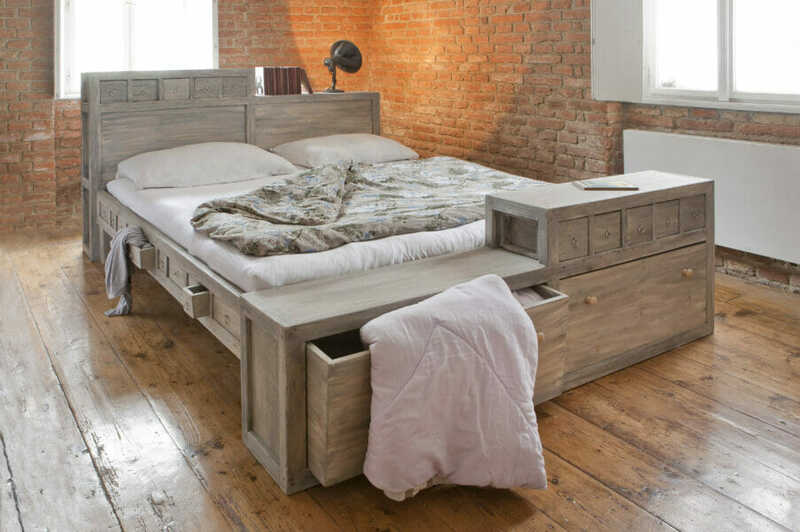 Bed storage can be in the headboard, in drawers underneath, or in a trundle instead of a mattress. Get creative with nightstand storage! Boxes or suitcases can hold items that you want close at hand but out of sight. Store sheets between the mattress and box springs. In a single layer, you won’t even notice them! Downsize your bedside table or coffee table with a picture or window ledge. All you really need is enough space for your phone, book, and coffee cup. Put your bed on risers and use decorative canvas totes to store items underneath instead of plastic ones. Make an open closet in one corner of your bedroom. Hang clothes on a rack about eye level, then add shelves above and stackables below for an instant closet addition with no construction! Think compact for items like pants, tanks and bras. Add a pants rack to the lower, unused space in your closet, or hang pants on S hooks. The same goes for tank tops, which can be hung from a single hanger with shower curtain rings. 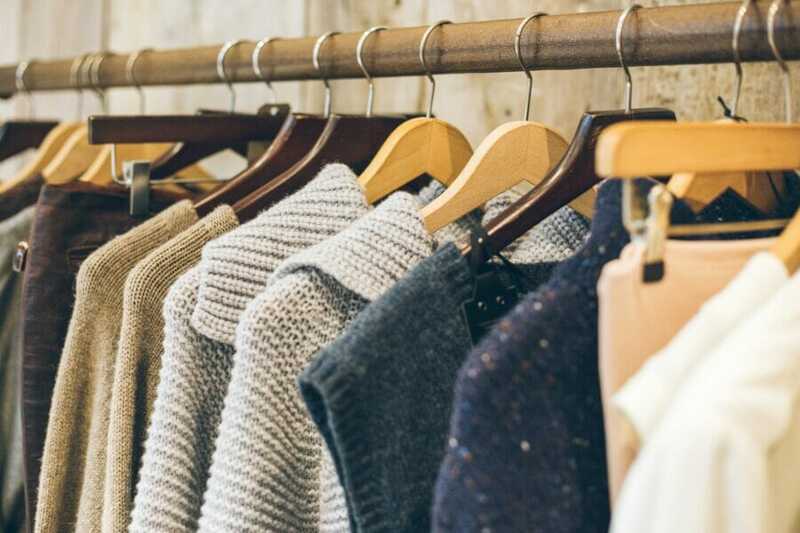 There’s a ton of unused real estate in the back of your closet! Hang belts, coats, bags, ties on the closet walls to keep them neatly put away! All these areas are high risk of becoming a catch-all. Use these tips to keep them clear but still know where everything is! Utilize the ceiling! The area above your head is completely unused, and there’s a lot of it! High shelves – about 12 inches from the ceiling – can hold books and much more. Also, consider hanging large, light items like bikes from the ceiling to free up floor space. Design a unique, modern coat rack on the wall. Great for entryways, this idea can utilize hooks, hangers, and shelves to store hats, shoe, coats, and more! Maximize cabinet space. There are so many customized options on the market, you can have a one-of-a-kind cabinet system in any room of your home! There are tilting cabinet for trash cans, or you can attach items to the inside of the door, including your calendar or a cork-board for reminders, which will also de-clutter the fridge! Choose moveable furniture or pieces that have more than one purpose. A fold-out bed, table, or desk can be a huge space saver in a one bedroom apartment! Use Velcro to attach your satellite box, Apple TV or external hard drive to the wall, a shelf, or your computer. This will eliminate the need for a shelf specially for these items. Think of well-known items in a new way. Pegboard makes a great place for keys and accessories, a wire hanging fruit basket can be used for small items in the bathroom, and tension rods can be installed in any narrow space for an instant hanging rack. Put art, photos or mirrors on hinges and discreetly hide items like keys, jewelry, and sunglasses on small hooks behind them. This keeps your valuables safe and out of the way.